Leigh Electrical offer a complete set of Electrical Services for Landlords in Southend and Essex. 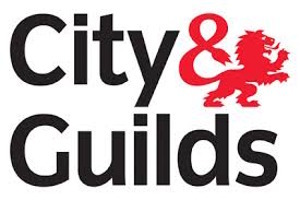 We can offer Electrical Safety Certificates, Appliance Testing and Periodic Inspections for Landlords seeking to comply with Electrical Safety Legislation. These services are offered alongside our standard Electrical Services so we can provide Southend & Essex Landlords with a all in one solution for they’re Electrician needs. All of our work is fully guaranteed for 5 Years by NICEIC as we are fully registered members. We operate 7 days a week meaning our service is convenient for Landlords and tenants alike. We are highly rated on various Trader websites such as TrustATrader, for our cost and punctuality. Call Leigh Electrical today on 01702 873350 to arrange a free no obligation quote for any works which may require completing on your property portfolio. Leigh Electrical are amongst the most experienced landlord facing electricians in the Southend and wider Essex area. We have decades of experience of liaising with tenants, landlords and other trades to ensure electrical works are completed on time, on budget and with a minimum of disruption to our landlord clients. 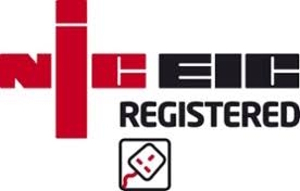 Leigh Electrical hold full NICEIC registration which means all of our work is covered under the NICEIC Platinum Promise. NICEIC membership also ensures all of the work we carry out for landlord clients is to the highest standard and completely in accordance with all relevant legislation and building codes. To see a selection of previous works completed by Leigh Electrical for landlords, businesses and the general public in Southend and Essex, please follow this link to our projects page. Leigh Electrical are also proud members of the Governments Trust Mark scheme. This is a Government backed scheme to help landlords and the general public find reputable and reliable tradesmen. Click here to find out more about the Trust Mark scheme. To speak to Leigh Electrical regarding any of our landlord electrician services, please call us directly on 01702 873350.